It has been two weeks since I have posted to my blog and I don’t have much crafting to show for it, but I do have two cards I want to share. I completed these cards this last week, but just didn’t have the time to get them posted and I forgot to do it last night before I went to bed. Both of these cards are based on the sketch last week by Kazan at 2sketches4you. I have had some personal stuff going on and I have lacked motivation to get into my scrapbooking room….where I should be to help distract me from the stuff going on. I have completed the rest of the 14 male birthday cards for my swap next month, so I guess I have done something, but I have already shared that card with you HERE. Other products used: buttons, pins, pearl beads, and thread. 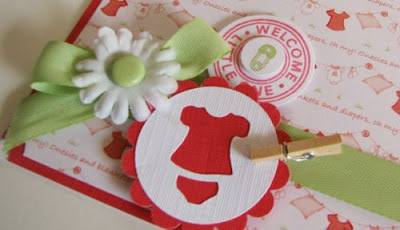 Stamp, ribbon and punches: Stampin’ Up! I hope that you are all doing well and I need to hop on by your blogs to see what you have been up to. Have a wonderful Sunday!! Amy, I have missed seeing your blog posts- I hope things will start looking up for you. Love the first card...the colors are fab! both of your cards are super sweet!!! I've missed seeing your wonderful designs! Hope everything is going better for you now. These cards are just adorable! Love them both. Glad to see your back! i LOVE your baby card... so sweet! Your cards are both great and sweet! I like the little touches of the mini clothespin on the one and the pearl pins on the other. On a more personal note, I hope you are doing better...I will keep you in my prayers. I love your blog and have missed your posts ! 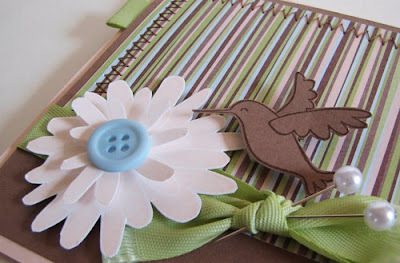 Your 2 new cards are wonderful and I love the clothespin too - so cute. ooh I like both of these super sweet cards, that closepin is adorable and I love the dimensions on the top card. anyways very cute cards, I look forward to seeing more fun creations! 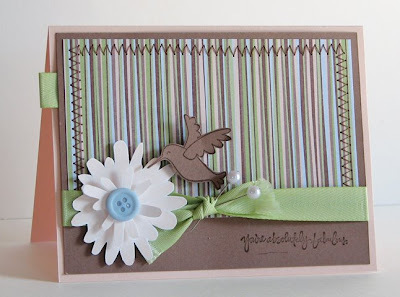 Oh my goodness, these cards are so sweet and just simply charming in every way, Amy! I love them both!